Architecture is dead. After eons of creating experiences through a delicate, yet surgical balance between form and function, it has now lost its integrity to speed and cost, and has become the whore to a digital aesthetic. The scared seven lamps of Architecture are no longer to be seen. They have become a legend, mythical ideas at best to be mocked by the digital design nomads of contemporary firms, using technology as a filter to be lazy and predestined algorithms from across those glass skins that no longer reflect movements but are mere screens and surfaces of a tool called technology. These environments sell a sense of freedom into infinity, but in fact are responsible for the complete devolution of any creative human thought. Today’s built environment is a direct reflection of a global society’s desensitization to its own humanity; yet, through this delusion lives on the Architects ego. Even after the masters have gone and along with them everything they stood for. Just as education has changed form, from a linear handing over of theory and best practices, from teacher to apprentice, to a free-for-all anarchic global marketplace where one has to sift tirelessly through layers and layers of uncurated precedents, through vast chasms of white noise, it can take the best of minds off their beaten paths. The very premise that Architecture was built on, has changed and its paradigm has shifted. The tool which technology provided us with, to assist in organization, searching and sharing content in a non-hierarchical, democratic fashion, has now become the Pied Piper. Surrounded by socially acceptable micro communication, abbreviated syntax and narcissistic instant self gratification, the creation of a whole new language of co-existence, the devolution of Architecture was inevitable. Slowness is no longer a norm, it’s a luxury experienced in carefully scheduled Yoga practices or forced getaways into the mountains. The craft of thinking through the drawing process has been surrendered to a variety of software, who use the glamour of their friendly user interface to subliminally through the power of suggestion, take the user further away from themselves. Man vs. machine, is the contemporary idiom. With a breakneck scaling up of artificial intelligence, in a country like Pakistan which has jumped from mechanized to digital without bearing the pains of industrialization, the impact is ugly. It is no wonder that decades of rigorous deconstruction by the young post-modernist ‘’paper Architect’’ Zaha Hadid has been reduced to a copy paste sci-fi aesthetic downloaded shamelessly from the internet and applied ad nauseum. This minimization of a dense ideology into a filter on the mobile phone for self-portraits has become the truth. Honesty is no longer a grounded universal pillar, but a fleeting moment of circumstantial need, easily and effortlessly disposed of like plastic straw. In the 80s, one was weary of reading Faiz and Shakespeare through Cliff notes; for fear of losing an erudite understanding of the history of literature, documentation, mapping, philosophy and human expression. Today, reality is legitimized by a mere 140 characters. Not 140 books or 140 pages of Vetruvius, Dostoevsky, Eqbal Ahmed, Che Guevarra or Confucius. From once being at the foundation of Architectural theory, like Ando, Barragan, Bawa and Omar, they are now fiction. The surface, the skin, the first look, as one rushes by, is king – like a bull in a china shop. Once, as Learning from Las Vegas was for the Venturis, contemporary global Architecture is now a transitory series of moments in time, billboards and hoardings, gutted from the inside. Easy to construct, easier to tear down, no investment in thought, no loss of spirit – Slave to capitalism and convenience. This new breed of Architect, in Pakistan, who has willingly sacrificed upholding the essence of architecture to the conveyor belt, factory production style of copy-pasted construction, with chaotic, cake-like façade ornamentation with multiple materials to allude to a richness within the volumes, is not much else than pandering to the morning show clientele like fashion bows to wedding couture. Ornament has become the armour to hide nothingness. It’s no longer the final crescendo that celebrates scared geometries within. It is now a tactile manifestation of the very digital white noise that gave birth to it. With the end of the era of Master Architects, the collapse of their ivory towers and the emergence of this new typology for whom nothing is sacrosanct, there is no God in the detail, but only in the speed of the cash flow, another rebel has raised his ugly head – the contractor. This creature is learning from the cliff notes and 140 character version of Architect. If one can download aesthetically appealing images from the Internet and try to replicate them in some awkward Frankenstein style out of context in Karachi, why can the contractor not do the same? This rogue pseudo Architect, offering his clients the same look at a lower fee, can potentially even do a better job at it, as he has no delusions of grandeur or that degree looking down at him from afar, playing a little, every so often, on his guilty conscience, one hopes. A tertiary underdog manifestation of the Architect, as good as his teacher, because in this fashionable one-look-fits-all style of the new Karachi urban landscape, one is hard pressed to see a difference between the two craftsmen. To witness this rate of architectural devolution in a city like Karachi, with the most rich and diverse history of architectural language compared to any city in Pakistan, with several living and well respected architects trained in the pre-digital technology reliance era, with several universities issuing professional degrees in architecture, with an accreditation board to check the quality of this education, several other boards to safety net any aberration that may fall through the cracks, it seems the cracks are more like black holes and everything is falling through. Although on the front line, this description may appear dramatic and unnecessarily fatalistic, if the situation has no stronger checks and balances plugged into place, Karachi may start looking more like a post apocalyptic squatter settlement. 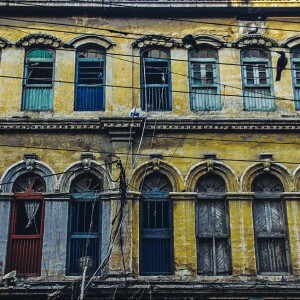 A mega-city like Karachi, which has a rich and diverse architectural history, should be able to generate a unique language for itself, taking from the best of the precedents here, a massive library of information, without having to reach out to the world wide web for any more. Inclusivity can be bounded by the range that we already have, exasperated first and thereafter one can look outward for more inspiration. But without looking within first at our own urban treasures, it would be an enormous waste of material. To understand why our practitioners do not see what is already here to study, deconstruct, listen to, appreciate and be inspired by, one has to look at the root of the condition. It is our colonial hangover of clerical servitude to the outside, often considered better, that we are unable to shed. This malaise is entrenched in our educational curriculum, teaching methodologies and accreditation criteria. The pride for one’s own is not inculcated from the get-go within our youth and the content of the curriculum not revised to fit our climatic, cultural and geo-political context. The accreditation audit is clearly not thorough nor rigorous enough to be the quality control and visionary mechanism keeping the direction aligned and appropriate to our needs. 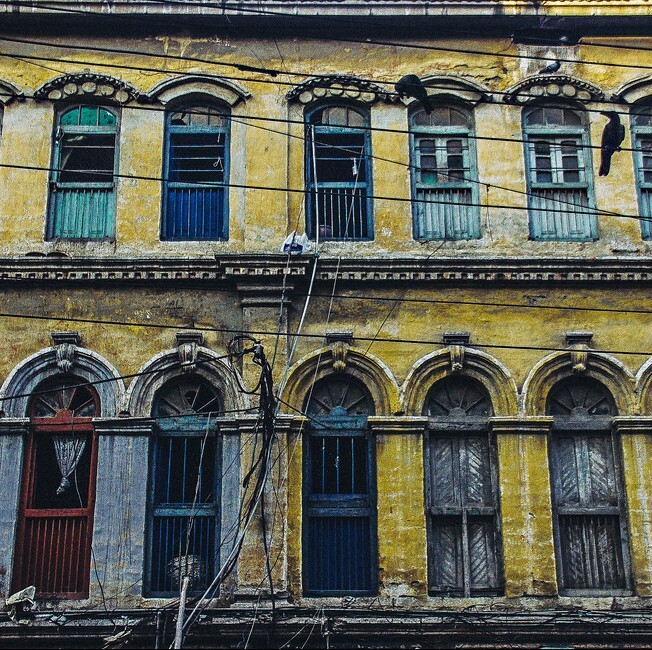 As one moves away from the micro to the macro, it is imperative to follow Karachi’s present architectural language, reflective of our society and quality of education, right down to the cause. Who is making the decisions that are allowing these multiple slips to continue unchecked. Is the Architecture fraternity responsible for not seeing the bigger picture and letting anyone come along to add to the chaos in their own way without giving them a set of guidelines to follow that would unite all the faculty, course content, teaching methodology, research documents and students onto one platform? Is the HEC responsible for not demanding excellence from its institutions and only supporting the consistent release of mediocrity into the national marketplace? Or are both equally guilty of this intellectual and creative architectural genocide which we see running rampant across Karachi and other cities of Pakistan? Is the Architecture industry desperate for intellectuals to guide it, so much so that they are using anyone they can access for positions that they may not have the credentials for, whether it be the design of a course, a program, accreditation or graduation criteria? Is there a genuine brain drain or are the minds who should be coming together to be the ‘think tank’ for the back end visionary support to the architecture industry not interested or not invited to contribute due to a latent fear the present celebrities may have towards losing their fragile spot at the top and so to maintain their self serving insecurities an entire city suffers? If this is the case, it’s a conscious destruction of our urban landscape by design. The purpose here is not to suggest a myopic, linear, rigid and suffocating or exclusive binding for the future of the Architecture industry. There is plenty of merit to an eclectic mélange of contemporary buildings, dovetailed elegantly and effortlessly into the broader fabric of the city. That aesthetic, while the internal mechanism of how Architects are trained to think and see is restructured, would do well with reaching to its own existing urban history for inspiration. 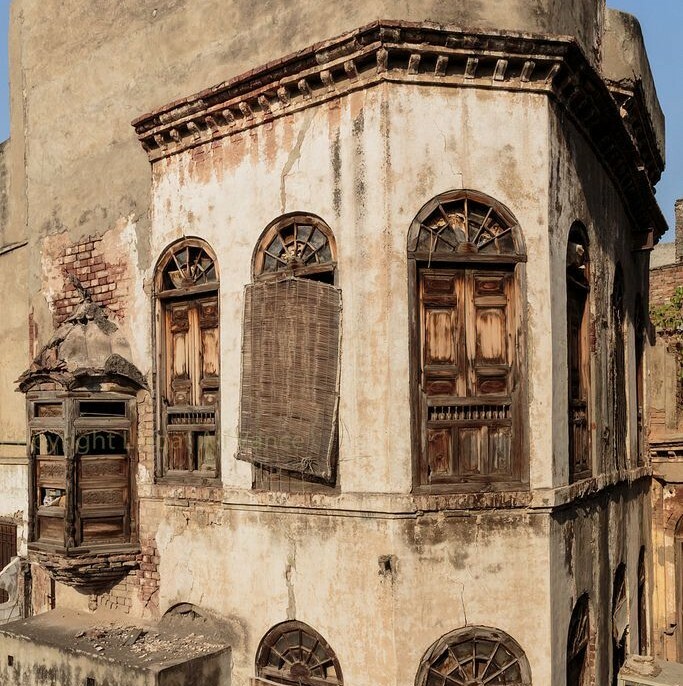 Once firm in the ownership of itself and its history, from the crumbling heritage colonial buildings of the dense inner city, due to sheer disrespect, to the post colonial modernist masterpieces we have inherited. A revival and restoration of thought is the desperate need of the times. This is as good a time to use as an opportunity for the Pakistani Architecture industry to look within itself and ask if it is doing the right thing with responsibility to its people, its nation. It is a time to redefine accepted norms, to restructure that which is lying dusty on shelves and merely running on a blind autopilot. It is time to reconnect to its people, its humanity and see if it is serving their needs as well as it is expected to and looked towards for. Is there a level of quality in every mark made that makes the industry proud. Is there a language it can create for itself so that others in the region might be inspired too and look towards us for guidance? Is it too late to expect a revival in human-centric architectural experience that connects mind, body and soul through history and technology? It is time.